HD Foundations Offers Commercial Foundation Repair In Fort Worth, Dallas, Irving, TX. For light commercial foundation repair in Dallas, Fort Worth, Irving or other DFW metroplex cities, enlist HD Foundations. 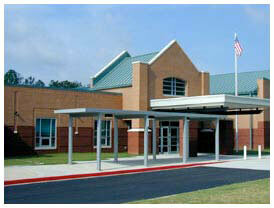 We repair office buildings, churches, schools, business centers, shopping centers and warehouses. HD Foundations in the Irving, Dallas and Fort Worth area is known for being an outstanding commercial foundation repair company. Why Commercial Foundation Repair In Fort Worth, Dallas, Irving? The reason why is this: It preserves your valuable property. Foundation cracks and settlement issues can cause severe structural foundation damage. Hot weather causes the expansive clay soils around foundations to shrink. When it’s cold or rains, the soil expands. Foundation movement is a problem in the DFW area. If not promptly repaired, the foundation on your commercial property may develop costly issues. It’s important to note that HD does not service tilt wall or dock-high foundations. If your property has a conventional concrete slab foundation, we can most definitely be of service. 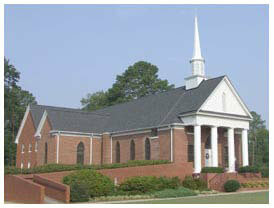 HD Does Commercial Foundation Repair On Churches, Schools, Business Centers. At HD Foundations, we offer Dallas, Fort Worth and Irving companies a wide range of services and restore foundations on all types of commercial properties. This includes concrete slabs and pier and beam foundations. The cost for repairing a commercial property in Dallas, Fort Worth or Irving depends on three things: (1) what type of foundation you have (2) how much structural foundation damage your commercial structure has sustained and (3) how many foundation piers must be installed. At HD Foundations, we install interior and exterior pressed concrete foundation piers on commercial properties. Due to foundation cracks, sinking and foundation upheaval, all commercial buildings eventually need to have their foundations fixed. If you live in the DFW area, the best way to get an accurate assessment of your foundation damage is to talk to a reputable contractor. Call HD Foundations for a foundation evaluation. We’re Dallas and Fort Worth commercial foundation repair contractors that service Irving and the entire DFW metroplex. As a qualified company that does expert commercial work on all types of foundations, we’ll fix your structure correctly. HD Foundations is a Better Business Bureau (BBB) affiliated company with an A+ rating. So if your warehouse, church, school, shopping or business center in the Irving and Dallas, Fort Worth area needs commercial foundation repair service, call us. If you require help anywhere in the DFW metroplex including Arlington, Irving, Plano, Grand Prairie, Carrollton or Garland, we can help. For a foundation evaluation on your commercial structure, schedule a free foundation repair estimate or inspection online today. Or, if you prefer, please just give us a call.